Are You Naughty or Nice This Holiday Season? Well, it’s officially the holiday season. What a joyful time of year . . . unless you’re trying to stay on a budget and keep yourself from maxing out the credit cards. Can you relate? This is, by far, the toughest time of year to follow through on financial and credit goals. Have you been “naughty” or “nice” this season? Take my quiz below to see how you’re doing, and let me know. I’ve had my own difficult experiences with credit and finances after becoming “suddenly solo.” Over the years, I have learned from these tough times and have been able to build a business coaching others toward financial health. I want to help you, too! So, would you say that you’re more naughty or nice? Nice: Do you take advantage of store credit-card offers as an easy way to build credit? Store credit cards often are easier to qualify for than traditional credit cards, and they tend to offer lower credit limits and generous coupons, discounts, and offers. If you can use them responsibly, they can be a good way to build your credit. Naughty: Are you likely to open up a new credit-card account and forget that you opened it? Forgetting about an account, especially if you have a bill coming that you didn’t expect, can throw a wrench in your budget and cause stress you certainly don’t need this time of year. Keep good records. Nice: Do you pull out credit cards you haven’t used recently to get some activity on them? Regular, responsible use of your revolving credit accounts will help raise your credit score. What’s responsible use? Keeping the balances below 20% of the total limit and always paying your bill on time. Naughty: Do you forget that you used your credit card to buy gifts and ignore the bill when it comes? Uh oh! Make sure that you have a plan and a budget for your holiday shopping, and keep all receipts so you can track your spending against your budget. Nice: Do you check all three credit bureaus and make sure their records for you are 100% accurate? 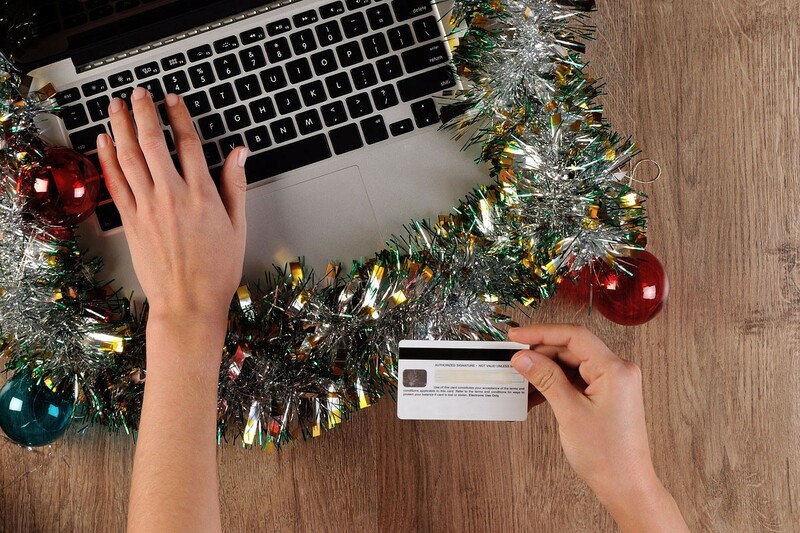 After all the holiday hustle and bustle, the end of the year is a great time to check your credit reports. Make sure you have not been a victim of fraud or identity theft by checking your credit thoroughly and often—doing so twice a year is ideal. Naughty: Do you check your credit rarely and, when you do, check only one or two of the three main reports? Assuming the third report will have the same information as the other two can put you and your credit score at risk. It’s important to thoroughly check all credit reports regularly. I know this can be a tough time of year to be “nice” all the time, but it’s important to pursue your financial and credit goals, and there’s no better time to start than now.